Assessment at St Nicholas’ takes many forms. Teachers use Assessment for Learning practices in lessons, ensuring that students are clear about the requirements of tasks (often referred to as “success criteria”) and are provided with opportunities to assess themselves and their peers against these requirements. This encourages students to have some control over their own learning and progress. Objectives of lessons are made explicit and teachers design lessons and schemes of learning to ensure that specific outcomes help to meet these objectives. Questioning techniques and observation of students during lessons help teachers ascertain how students are progressing. Summative Assessment takes place in each department, usually when students reach the end of a specific topic or scheme. Assessments may be written, practical, or a combination, depending on the subject concerned and are generally assessed against National Curriculum, GCSE, or A Level criteria, as appropriate. Students are informed of their mark, and clear advice is given about how to improve, usually in the form of a target. Internal examinations are scheduled for years 7-11 in the form of an “exam week”. These are spread across the academic year to avoid clashes with external examinations and are usually carried out in lessons. Examinations are designed to give students a flavour of the examination process and help prepare them for external examinations at Key Stage 4. As such they will incorporate knowledge from throughout the year. For students in year 11, the examination week is usually in November and is an opportunity for mock examinations to be carried out. All students will provided with an exam timetable and topic lists of potential material to revise for. External Assessment takes place for students studying GCSE, A Level and vocational qualifications. Students are prepared for these assessments by their teachers and are given guidance about how to improve their work in order to meet – or exceed – their target grade. The school has an assessment strategy called Target Grades which sets challenging targets for our students. These are based upon a prediction which is calculated by FFT (Fischer Family Trust) using Key Stage 2 assessment data. They are issued for every subject at Key Stage 3 and clear targets are set and need to be met at the end of each academic year. If a student meets the target every year they are likely to achieve this grade at GCSE, should the current level of effort and progress be maintained. For further information please read the Guide to Progress Grades document. Assessment Grids are available for each subject and these are used to measure students’ performance. These can be found by clicking on your child’s year group at the side of the page. In order to provide information about students’ progress, data is collected and sent out at various times throughout the year to inform parents of their child’s progress. This happens for Years 7, 8 and 9 three times a year. 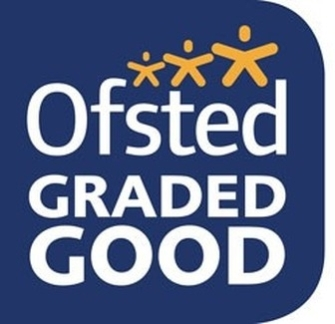 FFT Target – Your child’s target grade is expressed as a Progress Grade Target which they should achieve at the end of the current academic year. This is a challenging target and students who meet it will have made excellent progress. Current Working Level – This is the current standard of work the student is producing and is expressed as a progress grade. It takes into account the work that the student has produced so far. It is a teacher assessment and includes class work, homework and test results. It is possible that the current working level will rise and fall throughout the year depending on students’ performance in each assessment. In addition to Tracking and Monitoring, students receive one written report each year. The report gives details of students’ progress, including a comment and target for each subject, as well as any applicable examination results. This includes students’ FFT and end of year predictions. It will also include any comments from form tutors and key stage leaders to give an indication of how each student is progressing throughout school. Parents are advised to read through the assessments and reports with their son or daughter, highlighting areas of strength and those which perhaps need improving. Any concerns can be directed at the relevant member of staff, where clarification can be sought. In order to provide information about students’ progress, data is collected and sent out at various times throughout the year to inform parents of their child’s progress towards their end of key stage target. In Year 10, this happens 5 times across the year. In Year 11, this happens 4 times across the year. All students receive an FFT (Fischer Family Trust) target for each subject. This is the level students are targeted to achieve by the end of Key Stage 4. The target level is based on previous attainment from Key Stage 2 tests and and of year 6 teacher assessments. The Fischer Family Trust compile information using national data sets; these are provided by the Department for Education to support schools in target setting. This is the current standard of work the student is producing. It takes into account the work that the student has produced so far or is working towards at present. It is possible that the current working level will rise and fall throughout the year depending on students’ performance in each assessment. This is the grade that the student is predicted to achieve at the end of the key stage. The report gives details of students’ progress, including a comment and target for each subject, as well as any applicable examination results. This includes students’ FFT and end of year predictions. It will also include comments from form tutors and key stage leaders to give an indication of how each student is progressing throughout school. In order to provide information about students’ progress, data is collected and sent out at various times throughout the year, to inform parents of their child’s progress towards their end of key stage target. In the 6th form, this happens four times each year. All students receive an ALPS target for each subject. This is the level students are targeted to achieve by the end of their A Level courses. The target level is based on previous attainment at GCSE and is given to each student at the start of year 12. Each piece of work produced should be aiming towards this target. This is the current standard of work the student is producing. It takes into account the work that the student has produced so far or is working towards at present. It is a teacher assessment and includes class work, homework and test results. It is possible that the current working level will rise and fall throughout the year depending on students’ performance in each assessment. The report gives details of students’ progress, including a comment and target for each subject, as well as any applicable examination results. This includes students’ ALPS and end of year predictions. It will also include comments from form tutors and key stage leaders to give an indication of how each student is progressing throughout school.